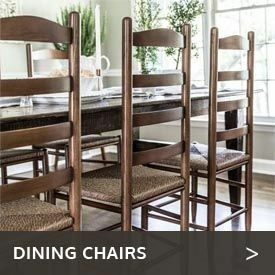 Whether the weather’s fair or foul, you’ll love gathering with friends and family around the Five-Piece Cedar Log Outdoor/Indoor Dining Set from Cedarwood Furniture. 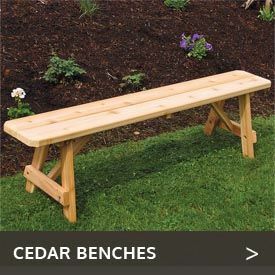 Cool to the touch even under the hot sun, the Northern white cedar logs naturally resist the weather and insects. 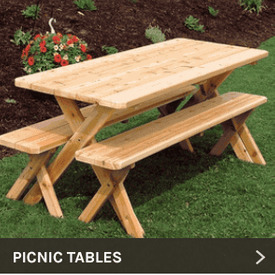 This log dining set includes one 30”-high table with a 37” square top and four rustic cedar log chairs measuring 20” wide by 20.5” deep by 36” high. 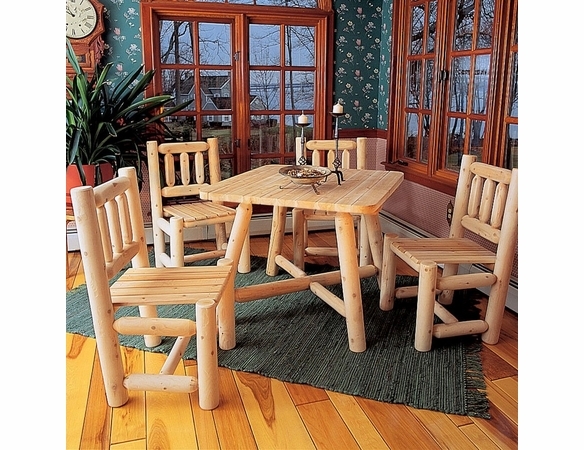 You can opt for other types of seating with these log table sets, like our Cedar Log-Style Captain’s Chair.